This column was first published here at IntegrativePractitioner.com. 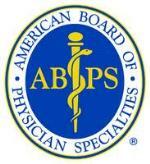 On June 1, 2013, the American Board of Integrative Medicine (ABOIM) officially invited applications from medical doctors and osteopaths in North America interested in board certification in integrative medicine. The first certifications are to be awarded in early 2014. The press release was not accompanied by the high welcome of a brass band. It should have been, at least inside the still small current in US health care that is "integrative medicine." Tracy Gaudet, MD, described the critical societal role of these integrative MDs and DOs in a recent talk to a group of naturopathic physicians and students. The former integrative medicine leader at the University of Arizona and Duke presently heads up Patient-Centered Care and Cultural Transformation at the Veteran's Administration. Gaudet first saluted the pioneering importance of naturopathic doctors in forging integrative medicine. Then she spoke of why there was need for MD and DO colleagues who choose to pursue integrative practice: "In health system change, you need constructs and concepts that are a bridge." Anyone involved in engaging health system leaders in exploring integrative care will know of the importance of the MD champion in bridging to the more conservative health system executives. In a very few systems, a nurse, acupuncturist, chiropractor or naturopathic doctor has been charged to direct such systematic engagement. Yet the MD brand remains mandatory logo-wear if one wishes to gain the attention of mainstream medical leadership. Gaudet's view of the "new construct" (b. 1995) that is an integrative MD/DO is remarkably aligned with what an international panel of experts declared in the influential 2010 report from The Lancet called "Health Professionals for a New Century: Transforming education to strengthen health systems in an interdependent world." The authors of the report urged that the end product of such education in the post-Flexner era be no longer merely the creation of experts, or even of professionals. They concluded that this era needs more. It is not enough to inform or socialize students for their roles in society. Rather, learning should be "transformative." The learning objective must be development of "leadership attributes." Most importantly, the outcome, in this rubric, is nothing less than the creation of "change agents." An important impetus to this redirection of health professional education is that we have entered an era in which team care is essential. By definition, this era is interprofessional. A "horizontal" relationship to authority replaces the top-down and dictatorial MD of the Flexner century. Notably, the definition of integrative medicine that the ABOIM put forward is directly aligned with this transformational purpose. The skills of an integrative MD or DO should not merely be in integrating therapies from diverse traditions. A board certified integrative medical doctor must also be proficient in effective integration of other "health professionals and disciplines." How many practitioners of any type presently optimally integrate the best of all other fields? Integrative medicine, so-defined, may be the only discipline or specialty that so directly and boldly announces its interdependency with other disciplines. Such respect for team as core to one's being represents, in the context of The Lancet report, a significant opportunity for integrative medicine leadership. What educational methods, then, will those charged with educating to this definition pursue? The educational requirements to sit for ABOIM certification in integrative medicine are not explicit about how education into team care is to be accomplished. But the standards may already be considered a significant form of change agency. Candidates must first have been awarded board certification in some other medical specialty. This shows an initial high level of proficiency. In addition, candidates must have integrative medical education through one of four methods. The first is not out-of-the-box of usual medical thinking. The candidate completes a fellowship in the field, in this case integrative medicine. The best known is that offered through the Arizona Center for Integrative Medicine, founded by Andrew Weil, MD and developed by Gaudet and her successors, Victoria Maizes, MD, Tieraona Lowdog, MD and others. The second transformative feature of the ABOIM certification process follows next. The architects of the ABOIM standards established 3 other educational processes for eligibility. One can complete education that prepares one for the practice of chiropractic, of acupuncture and Oriental medicine, or of naturopathic medicine. These avenues reflect a historic break from the historic diminution of other professions by organized medicine - of which, by the way, the ABOIM certification officially makes part the integrative medicine specialty. Some from these 3 fields may say that each of these degrees requires more commitment of both time and money than the Arizona fellowship. Yet the decision to recognize these as equal to existing board certification in integrative medicine exemplifies the sort of horizontal, interprofessional, non-guild orientation toward which The Lancet report seeks to move health professional education. Consider a gathering of these specialists 10 or 20 or 30 years down the road. The various roads to certification will already have created a remarkably heterogeneous specialty. Now imagine that the devotion to integration of "health professionals and disciplines" is as prominently imbedded in training as it is in the specialty's definition. If so, the integrative medicine specialty may well be hitting The Lancet trifecta for what we need in health care - fulfillment of an imagined destiny as transformative, leadership-focused, and a change agent in practice.